Come and join us as this special group of medicine people that will lead and guide us to learn their favorite Icaros (singing prayers). 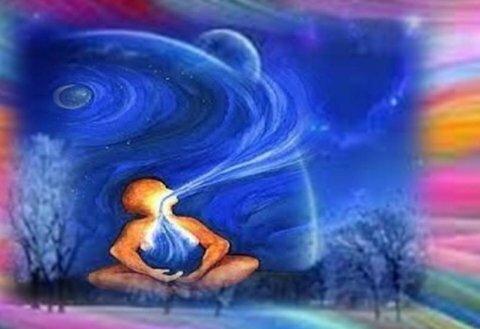 Icaro's are ceremonial power calls of light language learned from medicine elders or Healing Spirits, they are practiced during shamanic healing ceremonies, they open us to see dream visions and useful in healing the soul to bring strength to do cleansings for defenses. the shamans of the Shipibo tribe say that spirits especially plant medicine, call in the spirits of the others or the deceased. These calling usually used in Ayahusca , San Pedro, Peyote medicine, they are used as protection and manage a ceremony and to link everyone together, creating a unified force of energy that swirls within ceremony. The Icaros sometimes are whistled, sung or chanted, they can be expressed in any language. Icaros represent a system of communication between medicine person and spirits, the medicine people believe that everything has an icaro and that these icaros can be learned, some are created right through you the spirit of the medicine can sing them through you. Learn to how rattles accompany you in song, and how to direct energy of the icaros send away dark or unwanted energy. Songs shared will be from Medicine-persons from around the world. Please bring a soft sounding rattle to class, if you don't have one, one will be provided. Doors open at 6:55 until 7:10 thereafter Lobby doors will close. Lili Flaming Feather grew up in Colombia, where she was exposed from a very young age to the cruelty of war. Experiencing the difficulties of warfare as a child and living through two terrorist attacks marked her path. She always strives to acquire tools to remain stable and find the good that lives in all humans. Lili then discovered her passion for the Arts and continued on to obtain a degree as a Visual Artist. Throughout this path she produced numerous paintings, objects and installations as she explored this concept. Her love for beauty and longing for healing the cruel world she grew up in, which led her to become the gifted sound healer and energy practitioner she is today. She offers Healing Work with Herbal Medicine, Shamanism, Witchery, Body Work, Energy/Vibrational and Ascension Medicine and Plant Spirit and Amazonian Medicines, such as Kambo and Grandmother. Cristina Maria is a Licensed SW in NJ/NY and Wedding Officiant. She offers in-person and remote sessions and facilitates circles, workshops and ceremonies. Contact Cristina Maria via phone - 201.653.7700, email -spiritmedicineways@gmail.com or visit her at About Me, Hudson Healing Arts and Spirit Medicine Ways. Irma StarSpirit Turtle Woman is a Medicine Woman honoring the ways of the Mayan & Taino curanderas and medicine elders, she is a Shamanic & Reiki Master, Certified Crystal Healer, Toltec Dreamworker/dreamweaver.